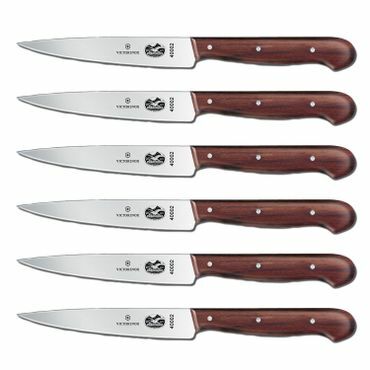 Bottom Line The six-piece Victorinox Rosewood Straight Edge Steak Knife Set is a top choice of reviewers for their superb performance and sleek appearance. They're comfortable to hold and cut even the toughest meats cleanly and easily. Sharpening is simple, too.